Cam Newton was the NFL’s best player in 2015 and he will be looking to pick up right where he left off this season. 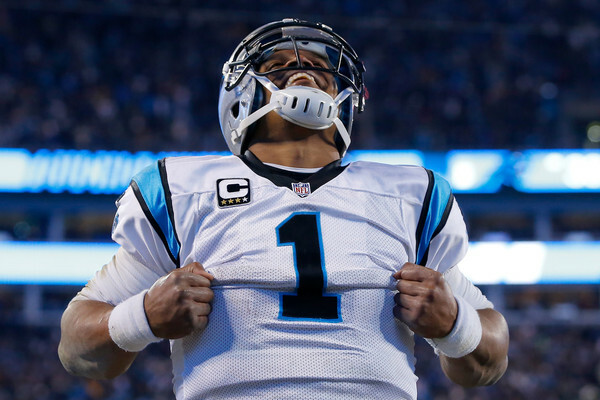 At his best, Newton is the closest thing the NFL has to an unstoppable offensive force. He possesses both the passing ability of the League’s best quarterbacks and the speed, size, and running abilities to double as another running back for the Panthers when they need one. Don’t expect this offense to change much this season, as the Panthers unlocked the way he is best-deployed in 2015. Expect plenty of power running and play action. Cam’s abilities as a runner are a big reason why the Panthers still insist on run-heavy play calling, but the continued good play of Jonathan Stewart is just as important. Stewart is still effective as a runner and an underrated aspect of his game is how good he is in the backfield as a blocker. Stewart has had some trouble staying on the field in recent years, but Fozzy Whittaker proved a capable backup in Stewart’s absence. Carolina really wants to run the ball and they have the ball carriers to do it. The weakest unit on Carolina’s entire team last year was the receiving corps. Devin Funchess proved serviceable, but there wasn’t much else worth keeping around. Simply put, Ted Ginn, Jr. should not have been an every-down receiver in 2015. 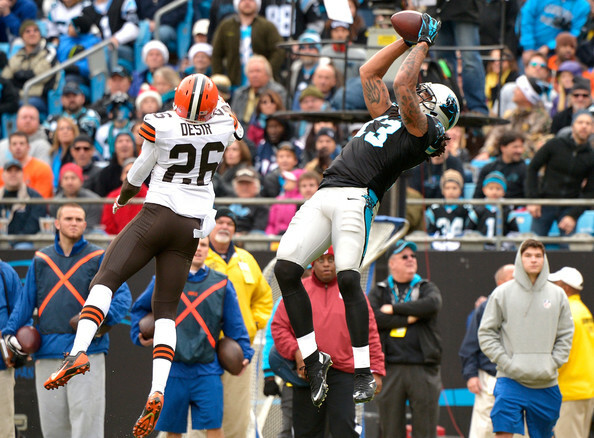 Kelvin Benjamin’s return after missing all of 2015 should be a big boost for Carolina’s pass game. Benjamin was electric in his rookie season in 2014 and he will slot back in as WR1 immediately. Add one of the NFL’s best receiving tight ends in Greg Olsen and this is an honest-to-God very good set of passing targets. If Newton is to build on his success in 2015, he will need them to meet their potential as the Panthers appear likely to struggle in pass protection this year. Carolina’s offensive line is a mix of good and bad. However, it wouldn’t be fair to say that they’re not well-suited to the style Carolina wants to play. The interior of Carolina’s offensive line is phenomenal. Andrew Norwell and Trai Turner is as good a pairing of Guards as exists in the NFL and center Max Unger is right up there among the best centers as well. Carolina’s offense features a lot of Cam Newton and Jonathan Stewart running straight into the middle of opposing defenses. Those three linemen are a big reason why. The bad side of Carolina’s offensive line is that the tackles are not very good. Michael Oher and Mike Remmels both had a hard time of things in 2015, which culminated in absolutely embarrassing performances from both in the Super Bowl against Denver. Newton definitely has the field awareness and quickness to evade edge rushers. His mobility forgives a lot. But defenses that excel at generating from QB pressure from the edges are going to pose Carolina problems this year. Carolina’s defense was one of the League’s best last year. Their biggest strength was their pass defense, which ranked 2nd at season’s end, per footballoutsiders.com. Josh Norman was the secondary’s anchor and was the NFL’s best corner back in 2015. Losing such a player to free agency always hurts a defense, but the dropoff in play from Carolina’s secondary could be drastic this season. Rookies James Bradberry and Daryl Worley will be Carolina’s starting cornerbacks from the jump this season. In center field, the Panthers will be starting veteran free safety Kurt Coleman and another inexperienced youngster in strong safety Tre Boston. 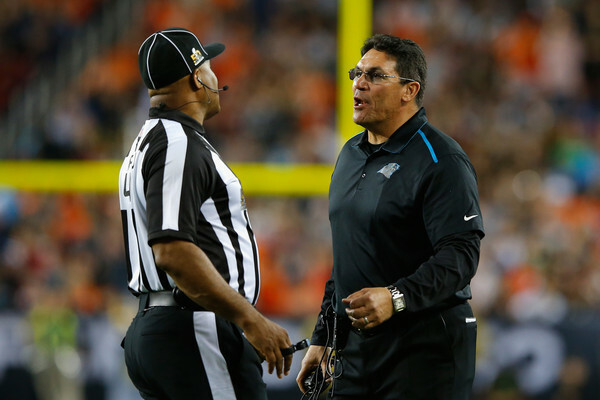 Head Coach Ron Rivera’s reputation is as a defensive guru. He made his name in the professional ranks by coaching up defenses into formidable units. He has his work cut out for him this year as Carolina’s secondary looks like one of the weaker ones in football on paper. The good news for Carolina is that everything else about this defense is pretty fantastic. A big boost to Carolina’s pass defense is how good every one of their starting linebackers are in pass coverage. 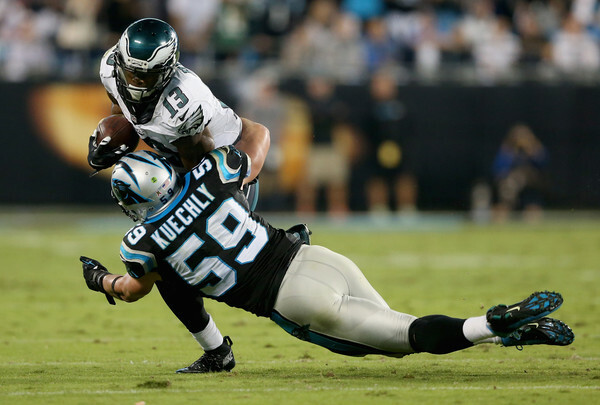 Thomas Davis and Shaq Thompson are both terrific, but the linebackers are led by Luke Kuechly, who is arguably the best linebacker in the sport. All three are also at least good in run support as well, giving added support to a defensive line that doesn’t need much of that. The Panthers’ defensive line is full of young players on the cusp of their peaks. Star Lotulelei doesn’t make many spectacular plays, but he does his job of occupying blockers next to Kawann Short, who had a breakout year in 2015. 2nd-year player Kony Ealy really came on toward the end of the year last year and he’s one to watch in a larger role this year. With a healthy Kelvin Benjamin, Cam Newton manages to improve upon his second-half explosion from 2015 and his brilliance elevates Carolina to a top-5 offense. Ron Rivera is able to coach up the young players in his secondary leading the Panthers’ otherwise outstanding defense to a top-5 finish of its own. Carolina is once again one of the best teams in the League and enters the postseason on the shortlist of legitimate Super Bowl contenders. Michael Oher and Mike Remmels’ inefficiencies in pass protection are highlighted all year and the Panthers have to settle for a good but unspectacular offense as Cam regresses. One of the NFL’s best front sevens can’t provide enough cover for a shorthanded secondary and the defense falls all the way to the middle of the pack. Carolina struggles against a much more difficult schedule in 2015, and barely holds on to win the NFC South. As legitimate as the concerns at offensive tackle and the secondary are, there isn’t really a version of this season that involves the wheels completely falling off the bus. Newton is too good and, to this point, too durable for any of the other teams in the NFC South to pose a legitimate divisional threat. There are offenses on Carolina’s schedule that should be able to score plenty on a secondary this green, but with all the talent that’s here, that’s not enough to think that Carolina won’t have another very nice season, even if they won’t match the 15-1 high of a year ago.